The parents at one Texas high school received some unsettling news on Monday — their former principal hired a band director with a criminal record of lewd conduct, indecency, and the sexual assault of a child. 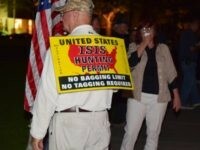 Trump supporters who are concerned about the “civilizational jihad” waged by open borders globalists, protested in Houston at an event put on by one of the non-profits they say receive millions on resettling refugees in American communities. “Trump is Hitler 2.0!” decried Jolanda Jones, the fiery and often outspoken Houston school board trustee, reality-TV personality, and attorney, claiming to express her opinion about the President-elect in a tweet. 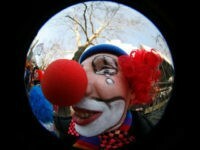 A Texas high school student has been arrested for posting “clown threats” against school districts and campuses. 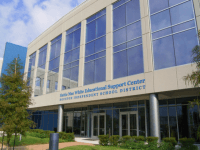 Taxpayers filed a lawsuit late Thursday morning against the Houston Independent School District (HISD), the seventh largest in the United States, to stop the politically correct renaming of schools and the unnecessary spending of millions in tax dollars. The protest organizer at an Arabic Immersion Magnet School says it is ironic that the seventh largest school district in the U.S. is ignoring the Arabic culture’s “long and ongoing culture of enslavement” while stripping names off of schools of anyone connected with the Confederacy or slavery (and spending millions to do so). 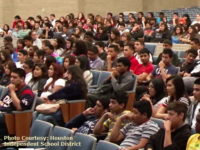 HOUSTON, Texas — Changing the name of just one middle school in Texas will cost Houston taxpayers almost $500,000. Some Houston taxpayers are not happy about the cost of the name change, and some former students, parents of students, and current students at the middle school are not happy about the name change either. A message sent to the parents and students of the Houston Independent School District (ISD) warns of a threat of violence to the district. 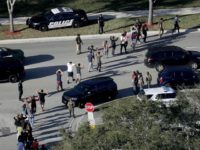 The message says the threat is similar in nature to those received by Los Angeles, New York and Miami school districts. 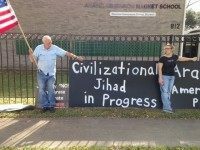 Opponents of a Texas Arabic Immersion Magnet School (AIMS) call the pre-K and kindergarten program “civilizational jihad.” The program was imposed by the largest school district in the state, and the seventh largest school district in the United States. 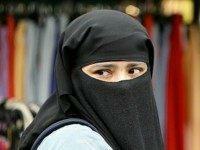 Opponents say that Americans simply do not know what is happening in this school, and in America. A high school in one of the largest school districts in the nation, Houston ISD, says that an Islamic State recruiting homework assignment “teaches critical and analytical thinking skills using current events.” The assignment was given to ninth graders one school day after the terrorist attacks in Paris. 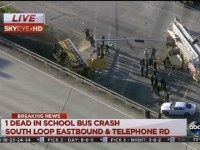 Two high school students were killed after a Houston Independent School District school bus plunged from an overpass early Tuesday morning. The bus driver and two other students have been seriously injured. All survivors have suffered injuries. 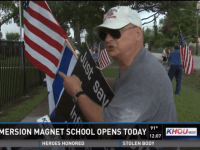 Progressive media ridiculed a handful of harmless middle aged and senior citizens peacefully protesting outside the gates of the nation’s first Arabic Immersion Magnet School in the Houston Independent School District (ISD). The school opened Monday for 132 pre-kindergarten and kindergarten students. 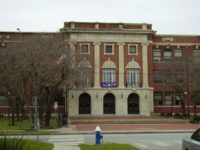 It was a huge blunder for the Houston Independent School District (ISD), the seventh largest district in the nation and the largest in Texas when an adminstrator’s letter threatened parents that their children would face summer school if they opted out of the annual state-mandated State of Texas Assessment of Academic Readiness (STAAR) exam. The next day, that threat was downgraded to an editing error.